Which Star Wars Faction has the WORST VEHICLE? We’re going to take a look at the worst Star Wars ground vehicles and tanks, used by each of the factions. Welcome, to this Star Wars factions compared article. We are going to be comparing the worst ground vehicles from the Separatists, Republic, Empire, Rebellion, First Order, and Resistance, and then determine which one we think is the absolute worst of them all. Alright so the worst vehicles Star Wars has ever produced. We’ve gone and chosen one vehicle for each faction based on obvious design flaws, lack of functionality, and basically just how much these vehicles made us laugh. Ok so first up, we have the Separatist’s OG-9 Homing Spider Droid. These were used heavily during the Battle of Geonosis and throughout the Clone Wars. Now what I don’t like about them, is that they have long legs that look to be super vulnerable. And they look like spiders. And I don’t like spiders. Oh and if you breach that big ball in the middle, it’s core, they explode. Pretty dramatically too. Next up we have the Republic’s All Terrain Open Transport or AT-OT. 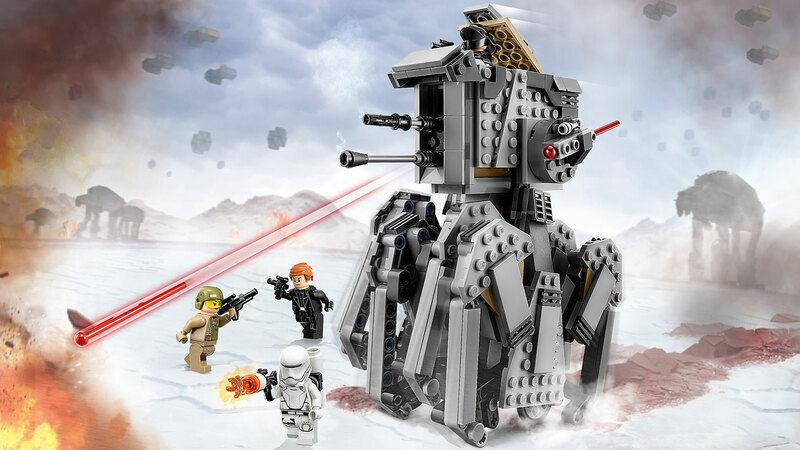 Ok so basically this thing is similar to the AT-TE, except it doesn’t have a big gun, it has more legs, and, for some reason, they left the roof open, therefore the name ‘Open Transport’. Ok so my first question. Why leave the roof open? I mean this just makes it seem like the clones who are being transported on top are much more open and vulnerable to attack. Also, why so many legs. I mean, it’s like a centipede. Seriously this looks like an engineer’s nightmare. Why the heck does it need this many legs? Ok, next. And you’re going to love this one. The Empire’s Tie Tank. So someone decided to take the tie fighter, take off the wings, replace them with tank treads, and behold, you have the Tie Tank. The cockpit for this one is literally the same cockpit in the tie fighter. Only one person can fit inside. Everything about this tank is bad. First of all, visibility is terrible. Regular tie fighters have bad visibility with no peripheral vision, as the pilots can only look out of the front window, so the same goes for this tank. And also, Tie Fighters seem to be super fragile when it comes to aerial combat. Sure they are quick and have good manoeuvrability, but as soon as they get they generally fall apart and crash or explode. So what they’ve done here is put an already extremely vulnerable vehicle on the ground. What’s the point of having a tank with weak armour? So next we have the Rebellion’s Tauntaun. Ah yes! Everyone’s favourite furry snow creatures. It’s not really that the tauntauns are all that bad. They definitely served their purpose on their native world of Hoth. It’s just that, Han’s Tauntaun froze in the cold, but somehow Han was still ok? I mean at least they smell better on the outside. Right? 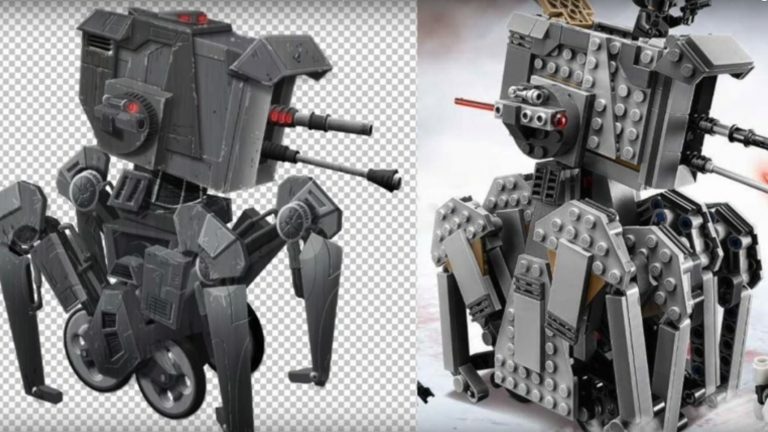 Next we have the First Order’s All Terrain Heavy Scout, or AT-HS, which at the moment only exists as Lego, and was cut from the Last Jedi but hey! We’re doing it. But doesn’t that tell you enough about it already? It was so bad, it didn’t even make the movie! So what I love about this little guy is that it looks like if you pushed it from one side, it would completely topple over and be helplessly defeated. It’s got these crab legs here to stabilise it, but also a set of 4 very narrow and compact wheel underneath its base. It honestly looks more like something the Separatist army would have in it’s arsenal, which to me would make more sense, because with both it’s legs and wheels, it looks incredible hard to drive or pilot. Remember, this isn’t a droid. Someone’s actually got to figure out how to control this thing. Finally, we have the Resistance Ski Speeder. Alright and I’ll be the first to admit that yes these do look really cool shooting across the surface of Crait, with all the red salt flying up, but that’s not why they’re on this list. To me, the Ski Speeder is a real Rebel’s ship. Cheap looking, half broken, and lacking the ability to actually fly, these are believable ships that a beaten down Rebellion would be able to afford to build. What I also think is really bad about their design, is the way the ship is structured. So over here we have the cockpit. In the middle we have this massive engine, and over here we have two laser cannons. It really doesn’t surprise me these things are so bumpy and fragile. It’s almost like a really badly designed podracer. Alright so now what we are going to do, is rank the vehicles from bad, to absolute worst. So coming in at number 6, is the Tauntaun! These guys served their purpose and couldn’t really help that Han took them out into the cold freezing night. At number 5 is the OG-9 Homing Spider Droid. The fourth worst vehicle, goes to the Resistance Ski Speeders. Mainly just because they look really cool skiing across the surface of Crait. At number 3, we have the First Order’s AT-HS, mainly because it was so bad it didn’t even make the final cut of the Last Jedi. The second worst vehicle, is the Republic’s AT-OT. This thing literally does nothing a ship couldn’t do, but also leaves it’s poor passengers open to the elements. I mean what happens if it rains? Do you really think your clone brother brought his spare umbrella? And number one. The absolute worst Star Wars ground vehicle of all time! The Empire’s Tie Tank.